Have you ever wanted to drive a rally car? Well it easier then you would think with a rally driving adventure. 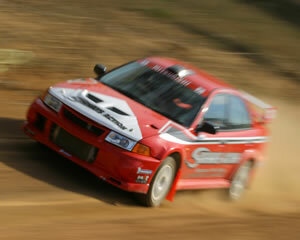 Rally driving is a fun and safe way to experience the thrill of rally cars in a controlled environment. WRX hot laps in Brisbane, the Gold coast and other locations such as Sydney, Melbourne and Canberra will get your heart racing. Testing your drving skills in your very own rally car is an adventure you'll never forget and makes a perfect gift. So why don't you book a rally drive to learn the skills needed to slide around corners in your very own rally car. Serious sideways action! YOU DRIVE for 6 exhilarating laps of the circuit. After a drivers' briefing, it's time to get the wheels in motion. With your professional instructor beside you, you'll leave Pit Lane in a Subaru Impreza WRX for some serious sideways action. You'll be competing against others as you test your skills to the max. You'll be drifting and sliding around a 1.2km purpose built circuit. The highest score and fastest time rewards you with the Winner of the Day Trophy. Front wheel drive Rally Experience driving in one of our Hyundai Challenge Cars. 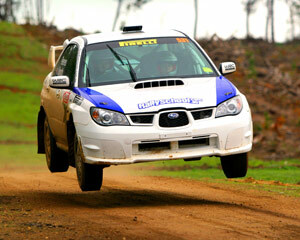 Here's your chance to experience first hand the thrill and excitement of driving a fully rally prepared rally car. If you're looking for a totally unique off-road motor sport adventure then look no further than this Off-Road Buggy & Rally Driving enduro event. Thrill seekers, hold on tight - you're about to have the ride of your life as your professional rally driver drifts and power slides a fully prepared rally car around our special stage rally circuit with you as the passenger. Always wondered how the pros do it? Well here's your chance to learn all the techniques to be a rally professional. Allow a minimum of 6 hours to experience a fully action packed day. Bring along plenty of energy! 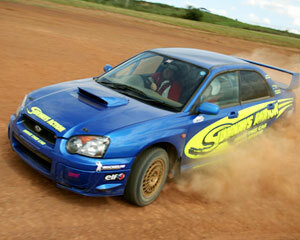 If youve got the urge to put the pedal to the metal then rally driving is the answer. Your clients will have the thrill of their lives and a whole lot of fun! 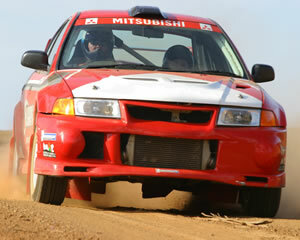 Here's your chance to experience first hand the thrill and excitement of driving a fully rally prepared rally car. These cars are the Real Deal. 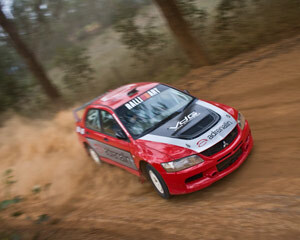 You'll be behind the wheel of the Australia Cup winning RALLIART Mitsubishi Challenge car. Hold on tight- you're about to have the drive of your life behind the wheel of a fully prepared rally car. This is 12 adrenaline pumping laps of drifting and power slides. 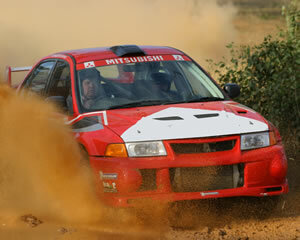 Here's your chance to experience first hand the thrill and excitement of driving a fully rally prepared rally car. These cars are the Real Deal. You'll be behind the wheel of the 4WD Subaru RS Impreza. 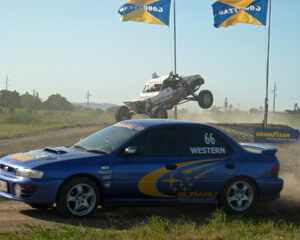 Get set for the ride of your life behind the wheel of a 4WD championship winning rally car. Drift and power slide your way around 18 Laps in a fully worked Rally Car. 6 laps at a time. Hold on tight as your driver takes you for two hair-raising hot laps around a rally track! 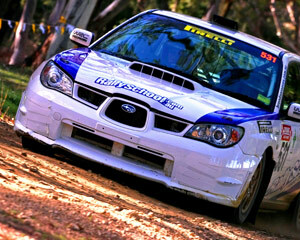 This hot laps experience is available in three locations across Australia and is a great introduction to rallying. No experience is necessary! Strap in and let your driver take you for the ride of your life! Hold on tight as your driver takes you for three hair-raising hot laps around a rally track! 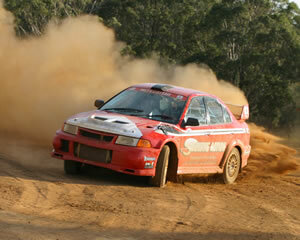 This hot laps experience is available in four locations across Australia and is a great introduction to rallying. No experience is necessary! Strap in and let your driver take you for the ride of your life! This rally driving day is for the serious motorsport enthusiast! Spend a whole day learning the tricks of the rallying trade from our instructors while driving a variety of cars, including a Subaru WRX Sti and Mitsubishi Evolution. This is followed by one high-speed hot lap with a professional! What a blast! 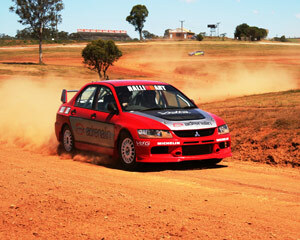 Jump into the driver's seat for a half day rally driving with a championship winning instructor! During the day you get to drive four cars for at least 24 laps. 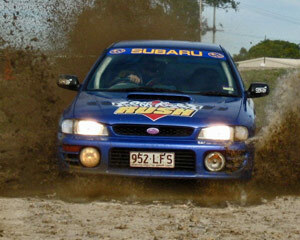 We have a Subaru WRX, V8 Commodore ute and more. This is followed by one high-speed hot lap with one of our professionals! 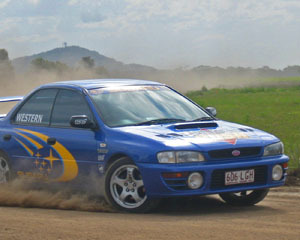 For this rally driving blast in NSW, VIC, SA or WA you get to drive two cars for six laps each, all whilst being coached one-on-one by a qualified instructor! Mix and match 4WD and 2WD, turbo and V8. Feel the difference as you drive! This is followed by one high-speed hot lap with one of our pros! 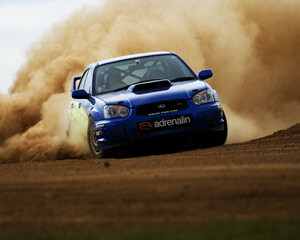 If you've got the urge to get sideways in the dirt then rally driving is the answer. This is your opportunity to drive a total of 12 'Rally Practice Laps' in any two of the four cars on offer at the track. 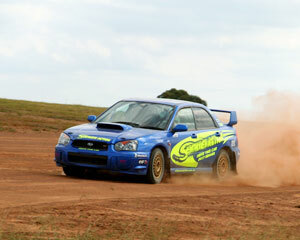 12 laps in your choice of rally car from a fleet of ARC spec super cars, Subaru WRX STi and the Mitsubishi Lancer Evo 8. Why not try the ultimate rally driving experience? Get into the latest model MR2 Spyder sports car and experience an exciting, adrenalin packed motoring challenge. Push the car to its performance limits, improve your driving skills and try to beat your best time! You have seen it enough on TV, so stop thinking about it and do it! Get yourself behind the wheel of a Turbo WRX Rally Car for some serious fun. Few people get to experience what it's like to drive a properly built world class Group N rally car - you'll soon see why rally drivers are so addicted! We'll coach you through our professional rally driving techniques. Words cannot describe the feeling of having a top level car under YOUR control! 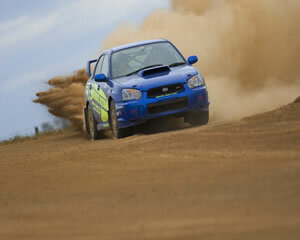 If youve got the urge to get sideways in the dirt then rally driving is the answer. What a rush! This is an awesome introduction to the adrenalin-fuelled world of rally driving in real competition vehicles. 24 blistering laps in your choice of rally car from a fleet of ARC spec super cars, including the Subaru WRX STi and the Mitsubishi Evo.